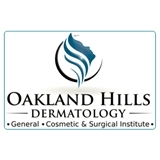 Oakland Hills Dermatology (Auburn Hills) - Book Appointment Online! Doctor Buatti and the nurses were super nice and seemed very knowledgeable. The office staff was OK but I waited around an hour. My wait time coupled with the fact that his office is so far from my home, I am hesitant to come back. However, the fact that with his treatment my skin condition has greatly improved, I would recommend him to anyone!